GracefullyVintage: Another Lovely Vintage Dress! It is made from cotton which is nice and light for spring and what I dread most each year... An Australian summer. 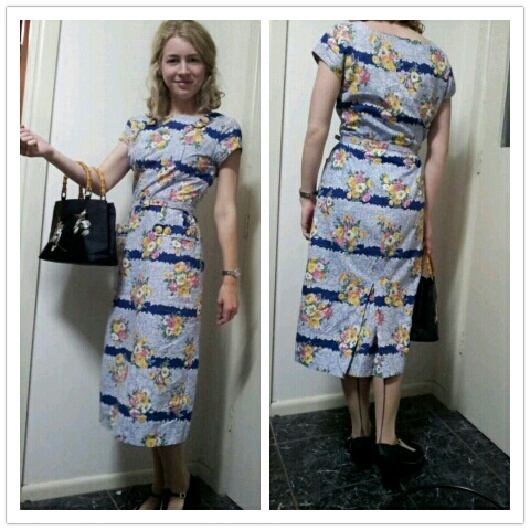 It is an Australian made dress and I believe it was made in the late 1950s. It is in perfect condition as the previous owner has had it stored away for decades. I just adore the matching belt for pulling in my waist (which is something I like to accentuate) and it even features cute little pockets with buttons to make it even sweeter. It goes just over my knees, which is my desired length when I look for a good dress/skirt. I just can't get over how lovely the floral fabric is! My apologies for the poor quality photos! I forgot to take my camera with me when I wore it out! Cute shoes, back-seam stockings + a girdle/garter and a little handbag are a must for any vintage gal who like to dress to impress in a cute vintage dress! you look absolutely gorgeus, this dress is perfect for you! and i love your shoes, where did you get them? Thank you so much! 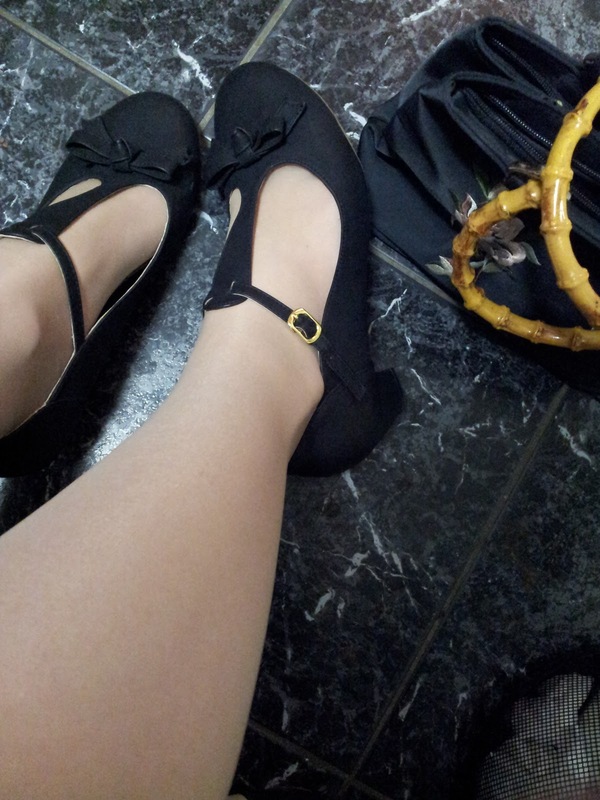 I bought the shoes on eBay for a bargain price! beautiful print and nice colors. Love that dress! I'm always jealous of everyone's vintage finds.. I cannot find too much of anything where I live!